Musharraf sent thousands of Pakistani troops to the Swat Valley earlier this year [PBS Frontline noted it was actually in November 2007, see yesterday’s post for more details] to quell the campaign of violence launched by Swat’s “radio mullah.” According to the Associated Press, “The army claims it has dispersed thousands of his militant followers, but attacks persist. Last week, a roadside bomb hit a wedding party, killing 12 people.” Today’s funeral blast of a slain police officer is reminiscent of similar attacks targeting funerals in Iraq, the most recent one in Baghdad on January 2, 2008 that killed 36 people. Funerals are often targeted by militants because of the large number of people present at the gatherings. An interesting perspective by Center for American Progress’ Caroline Wadhams on the elections in Pakistan. 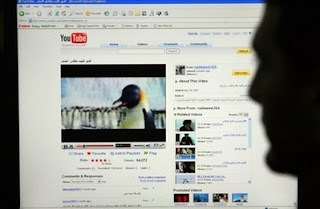 Frontline Documentary- Who is the Radio Mullah? PBS Frontline presented an insightful program entitled, “Pakistan: State of Emergency,” a look into the NWFP/FATA region which has largely become a battleground between Pakistani security forces and Pakistani Taliban militants. Frontline/World reporter David Montero visited Swat Valley, “once the crown jewel of Pakistan’s tourism trade,” but now a haven for these extremists. In the Frontline documentary, Montero had to wear local clothes and brown contact lenses to blend in with the mostly Pashtun (Pathan) population. In the past, he noted, “the people of Swat have resisted extremism and violence.” Despite this, he reported, “the Taliban were entrenching themselves, building a $2.5 million madrassa, or religious school, on the outskirts of town. It became the base for their leader, a mysterious cleric known as the ‘radio mullah‘ for his sermons and tirades broadcast by his pirate radio station. 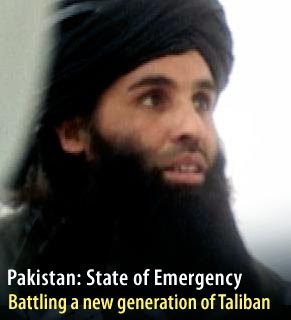 His name is Maulana Fazlullah.” The 33 year old militant leads the Swat-based extremist group, the Tehreek-e-Nafaz-e-Shariat-e-Mohammadi (TNSM). Rashid ultimately blamed Musharraf for having an inconsistent policy toward extremists in Swat and in the tribal areas along the Afghan border – sometimes he appeases militants by offering truces and payoffs, sometimes he cracks down on them. The PBS Frontline episode was significant because it emphasized that these extremists don’t have the support of the people in the area – in fact, their campaign of violence and terror has largely caused the population to turn against these groups. However, the government’s inconsistencies and inefficiency only succeeded in demoralizing the populace. A newly elected coalition government, in my opinion, must regain the trust of the people, especially in the northern areas. Although there have been indications that the government might sit down and negotiate with the Pakistani Taliban, the new regime must remember to practice consistency – not just with its own policies but with the actions of the military, who needs the support of the country to succeed in its campaign in the north. Yesterday, I attended a fascinating event at the Woodrow Wilson Center where Eric Bjornlund of Democracy International spoke of his observations while monitoring the Pakistani elections last Monday. Also on the panel were Hassan Abbas, a research fellow at Harvard’s Belfer Center for Science and International Affairs and a former Pakistani government official, Hasan-Askari Rizvi, the Pakistan scholar at Johns Hopkins’ SAIS, and Marvin Weinbaum, the scholar-in-residence at the Middle East Institute. 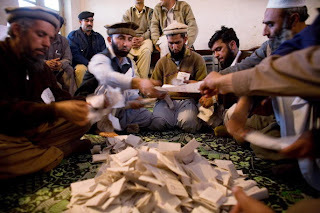 Bjornlund reported on DI’s methodology while in Pakistan in order to ensure the elections were “free and fair” – this included parallel vote tabulations, 272 samples for the 272 elections, and 75 meetings with political parties prior to the elections. The organization deployed two-person teams around the country (there were 38 DI people altogether), they met with local observers, officials and parties, and then shared their observations. Ultimately – DI found that the elections were relatively peaceful, there was no evidence of systematic manipulation, and the people exercised their will. However, the pre-election period was not as rosy, as we all know, since violence and riots wracked the country before election day. Bjornlund also noted the criticisms of the Election Commission prior to the elections – in the commission’s effort to redo the voter registration list, a large number – about 15 million – were left off the list. As a result, they tried to augment the list with the voters from 2002, a list that was widely discredited. The event, all together, was an insightful talk on what should happen next in Pakistan. It seemed based on the questions following the panel talk that people are truly interested in where we should go from here – should a relatively moderate coalition government negotiate with extremist elements in the country? Can forces like Tehreek-e-Taliban be tamed? Moreover, what role does and should the United States play in this process? It is obvious that the U.S. has and will always have a strategic interest in the country – therefore, how can we further this interest and at the same time address the anti-American sentiment raging in the country? A great article in today’s LA Times, entitled, “Islamists’ Loss in Pakistan isn’t a U.S. Win,” reported that despite secular party wins in the parliamentary elections, Pakistanis are still unlikely to rally behind the U.S.-led war on terror. The news agency added, “To many Pakistanis, the armed confrontation with Islamic radicals remains ‘America’s war,’ one whose cost in blood has been borne by Pakistani troops with little perceived benefit to this country.” As a result, the new parties in power are pushing for a political solution to the problem, rather than the oft-used military solution. The panel discussion, much like a Magic 8 ball, provided an “Outlook Good” depiction of the country’s future – do you agree or is that far too simplistic? While a PPP/PML-N alliance may be the primary coalition in the government, it is not the only one. None of the country’s parties won a majority of the National Assembly, “and negotiations are continuing between rivals keen to forge a coalition big enough to hold power in the 342-seat parliament.” PPP has reportedly also been in coalition talks with the MQM, and, most notably, with the Awami National Party (ANP), the secular political party that essentially replaced the religious coalition, the MMA, in NWFP. On Saturday, Pakistan’s Dawn newspaper reported that the top leaders of both the PPP and ANP agreed to form a coalition government in that province, since the two parties had gained a majority. Ultimately, the victory of the ANP and the subsequent PPP-ANP coalition in the NWFP is a marked change from a religious coalition that advocated Islamic law and poorly governed the province. What is more significant is that their success represents the success of the political process. In Pakistan, we have never allowed an election cycle to play itself out – on the national level the process has always been disrupted by coups, takeovers, and the like. In Monday’s election, the people of the NWFP, who themselves voted in the Islamic coalition, voted the MMA out of power. Democracy is not just one cycle of elections – it is the accountability of the victors after said elections. The success of the ANP within this context is therefore more noteworthy.